The AC condenser is a core component of your car's air conditioning system. Its primary function is to cool the refrigerant gas and convert it back into a liquid state. 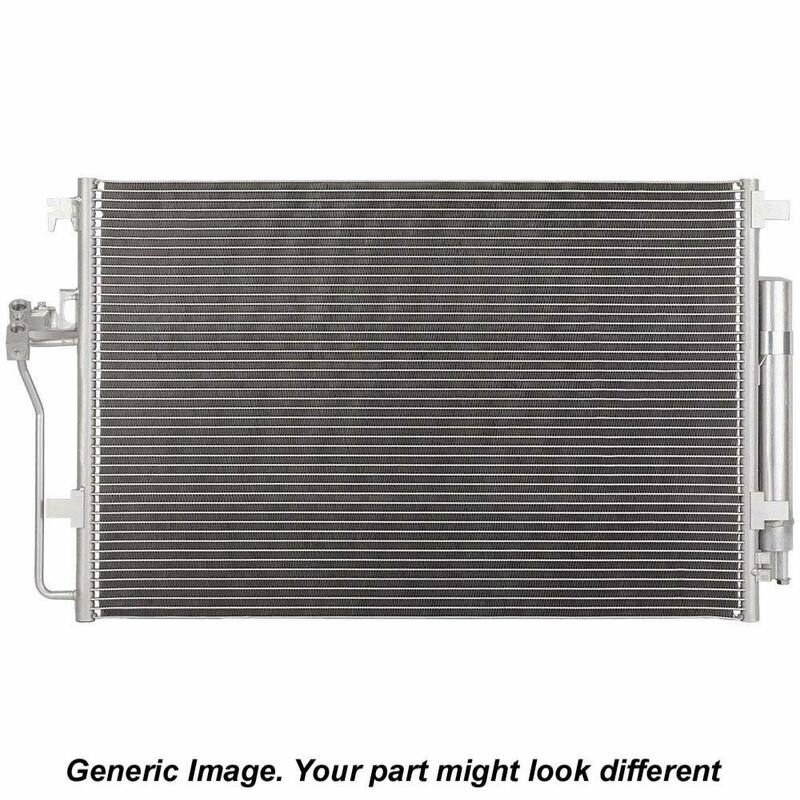 The condenser looks similar to the radiator and is usually located in front of it. The air conditioning system in your car is made up of an AC accumulator-drier, condenser, AC compressor, evaporator, and expansion device. Condensers are constructed with a series of tubes in a manner similar to radiators and evaporators. If the temperature inside your car is warm even when the AC is cranked up all the way, the condenser may not be functioning properly. Check it right away and if you find it leaking or damaged, you will have to replace it with a high-quality AC condenser. Buy Auto Parts sells a wide range of car parts at unbeatable prices. We have genuine OEM replacements and premium aftermarket parts. Each of our car parts has been tested to meet or exceed industry standards. Ordering car parts online has never been easier. Buy Auto Parts allows you to find car parts that fit your vehicle by just selecting the right year, make and model of your car from the online catalog. If you are not able to find the AC condenser you require, give us a call and we will find it for you. As we have warehouses all across the US, you can be assured of receiving the ordered car parts on time. We provide free shipping for all orders above US $99. To find out more about our services and our car parts, call our toll-free support line at 1-888-907-7225. If you have any queries regarding your condenser, you can contact our AC condenser specialists by sending an email to [email protected].